Hire a special purpose vehicle instead of buying one for example 4WD for a camping weekend. Can be quicker than a car in peak hour, particularly if using special transit lanes. No tolls to pay for roads, tunnels, bridges and inner city use. Bicycles with 200 Watt electric motors are still classed as bicycles. They have 40 km range, go up to 30 km/hr, cost under 5 cents to charge and will cost $1200-$2000 to buy. This is one of the cheapest ways of having using an electric vehicle. The specifications are useful for city use. 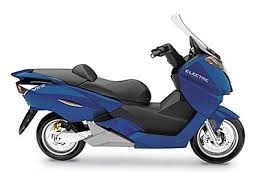 Below is a description for a Vectrix Electric Scooter which is available in many countries of the world. Regenerative braking. 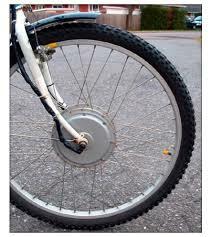 Braking power is used to help charge the battery which also reduces brake pad wear. Suggestions: If possible charge at night using off peak power rate. Tesla has become a dominant Electric Car manufacturer. The recent completion of the battery factory in Nevada will help lower battery costs. Initially they made a Tesla Roaster sportcar. 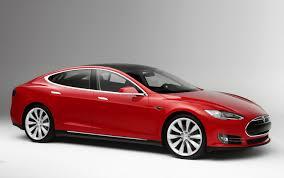 This was followed by the Model S sedan which is most popular now. There is also a Tesla Model X SUV and a small Model 3 due in late 2017. 75 minutes at Supercharger. 27 hours charge time from 240 volt 15 amp powerpoint. Compare the costs of a similar sized efficient petrol car, Toyota Yaris 3 door. City / Country fuel economy value used. 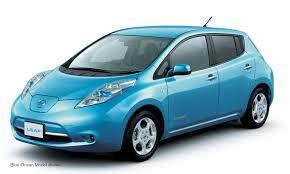 The comparison shows that electric cars should have a lower running cost compared to a similar sized petrol car. If peak hour traffic is encountered regularly then petrol fuel consumption would be worse. The differences are greater when compared to larger petrol vehicles. Factor in the trend of increasing the price of petrol over the life of the vehicle. 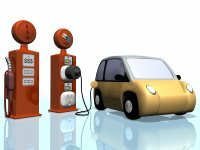 Suggestions: Use your own solar power to charge the car (~free). Charge at night using off peak power rate if possible. Choose a vehicle size that suits your needs and check its economy before purchase. Consider alternative energy production to lock in your future transport energy costs. Consider green power to eliminate all your electric generation emissions.